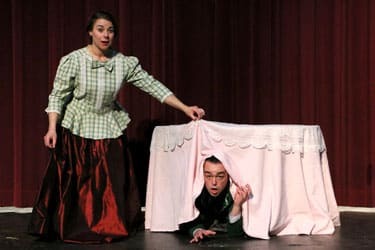 2019 Summer Musical Camp - NEW! 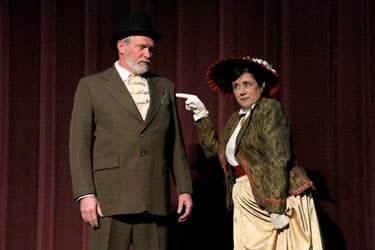 Rights Company: Tams-Witmark Music Library, Inc.
Dolly Levi schemes her way into Horace Vandergelder’s heart in this light-hearted musical set in turn of the century New York City. Matchmaker Dolly Levi has been hired to find “half-a-millionaire” Horace Vandergelder a wife. 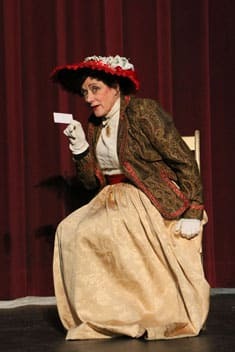 Dolly's scheming soon involves Horace's employees as well as a New York hatmaker and her employee, as she tries to cover up her own secret romantic designs. 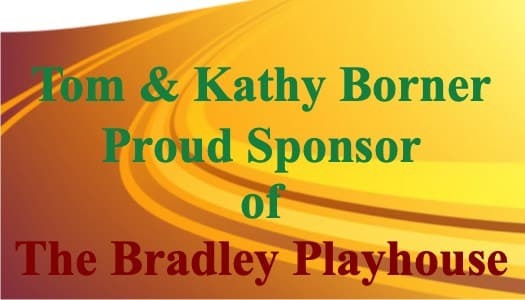 The Bradley Playhouse is sponsoring a “Hello, Dolly!” Hats Award Contest for the most creative hats designed and created by you, members of our supportive community! 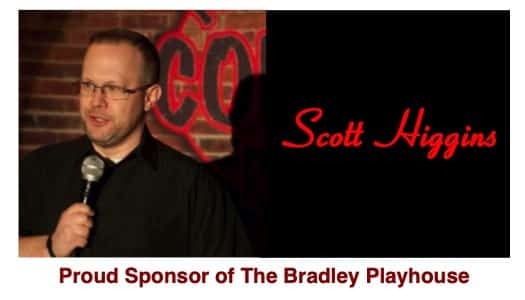 The Bradley Playhouse is excited to welcome back Scott Higgins' New England Comedy All Stars for a fun filled night of side splitting laughter. Comedians from the comedy club circuit and television join together to treat you to an evening of high energy humor that will leave you rolling in the aisles. Suggested for audiences 18 & older. In this light-hearted comedy, four unique, single, Southern women meet one another at a yoga studio and form a bond as each seeks a new lease on life. Four unique, single, Southern women find themselves drawn together by chance. As a group, they decide it is time to reclaim a passion for life that has faded. Over six months of adventures, misadventures and occasional liquid refreshment, the women form a bond and find the confidence to kick-start new lives. The “UMX” show celebrates the Life, Music and Dancing of the Legendary ‘King of Pop’, Michael Jackson. This multimedia theatrical experience takes audiences on a musical journey through the life of one the greatest and inspirational entertainers of all time. Everyone’s favorite ogre, donkey and princess come to life in this musical adaptation of the beloved animated movie. In order to rid his swamp of annoying fairy tale creatures, ogre Shrek makes a deal with the evil Lord Farquaad to rescue the beautiful Princess Fiona. With the help of Donkey and Dragon, Shrek accomplishes his goal, only to fall for the Princess himself. When four young singers are killed in a car crash, they posthumously take the stage for one final gig in this goofy, 1950s nostalgia trip. Featuring the close harmonies of male quartets with such songs as “Moments To Remember,” “Love Is A Many Splendored Thing,” and “Three Coins In The Fountain,” this is a great trip down memory lane. Playwright Sydney Bruhl has hit a dry spell when he receives a script from a student that he is sure will be a hit. He plots to kill the young man after inviting him to visit in order to help with the writing. Many twists and turns occur in this thriller that keep the audience guessing until the surprise conclusion. When Kris Kringle is hired as Macy’s department store Santa, some find he takes the role too seriously and question his sanity. After being hired by Macy’s department store to be their Santa, Kris Kringle finds himself not only in trouble for being too authentic, but institutionalized as well. A kind-hearted lawyer takes on his case and helps us all to find true Christmas spirit. Box office opens 2 hours prior to show time. Patrons will be seated 30 minutes prior to show time. 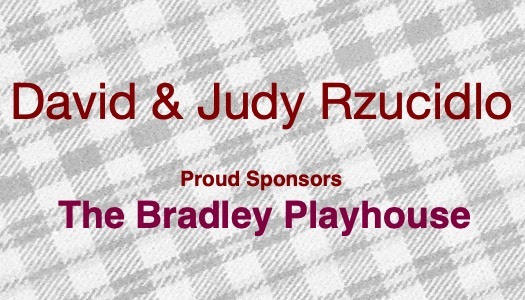 Click above to find out more about volunteering at the Bradley Playhouse. 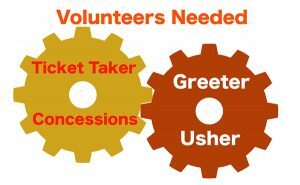 Great way to meet people and to support your local theatre. 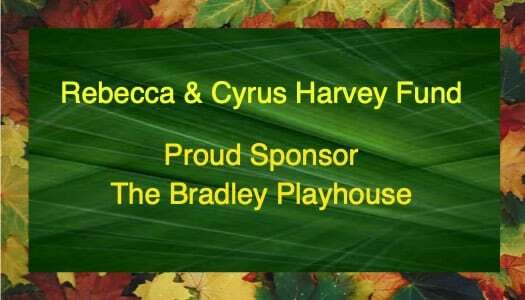 Welcome to the Bradley Playhouse smartphone page. to get the full site and pictures and animation. so that you can get information quickly. 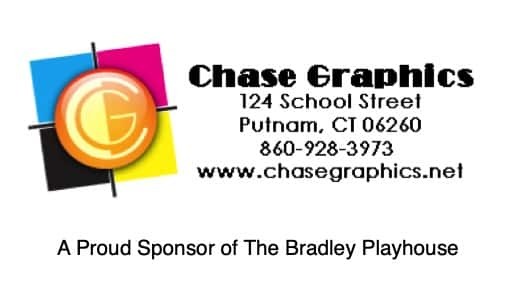 The “Buddy Holly” production brought the theater to its feet. It was absolutely amazing and outstanding. 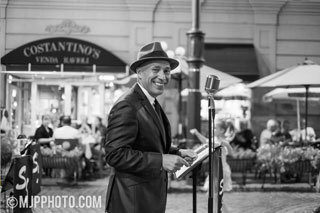 The songs, the styles, and the scenery transported us back to the 1950’s. We felt the beat and relived the memories of Buddy Holly, Richie Valens, and the Big Bopper. Their legacy lives on. – Jane E.
I went to yesterday’s performance of “The Little Mermaid” and it was absolutely incredible! 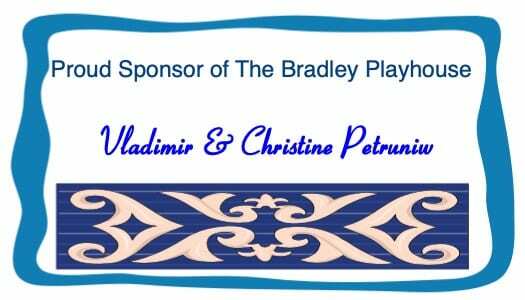 All of the hard work, dedication, love, and passion really shines through in every show at the Bradley! I would absolutely recommend to everyone. – Christina S.
I hope it is done again!! By far my most favorite production at Bradley was yesterday’s show of the “Little Mermaid”! Superb acting, phenomenal singing, beautiful colorful costumes, amazing backdrops, literally everything about it was terrific! Fun and entertaining for all ages! I hope it is done again!! – Christina O. If the Bradley were to close there would be a huge hole in the fabric of northeast Connecticut. They do a great job. – Dave S.
Beautiful theatre!!! 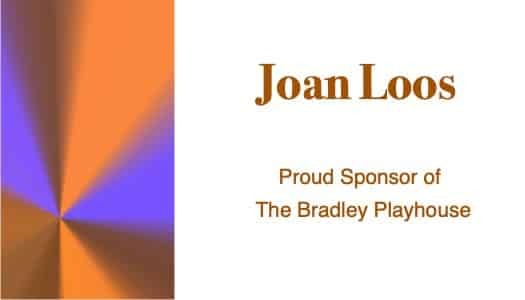 A place to visit anytime you want to see great shows without paying the Broadway prices. The actors and actresses are top notch and put on an amazing show!!? Can’t wait to go back!! – Kathleen D.
I had goose bumps and at one moment, tears. 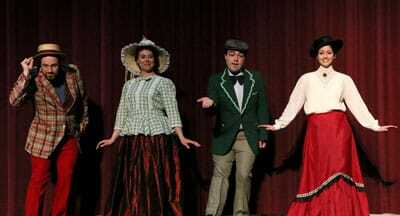 The “Pirates of Penzance” was amazing! One of the best shows yet! The talent on stage was spectacular. I had goose bumps and at one moment, tears. Thank you for such an amazing experience. – Crystal W.
One of my favorite theaters! 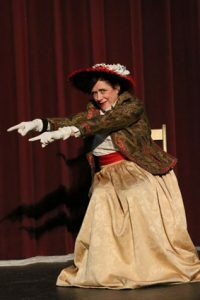 We always enjoy the shows as the actors and actresses put on an excellent and talented performance! The staff is very friendly and helpful. We are always looking forward to our next show! – Kristen L.
The Theatre of Northeastern Connecticut, Inc.